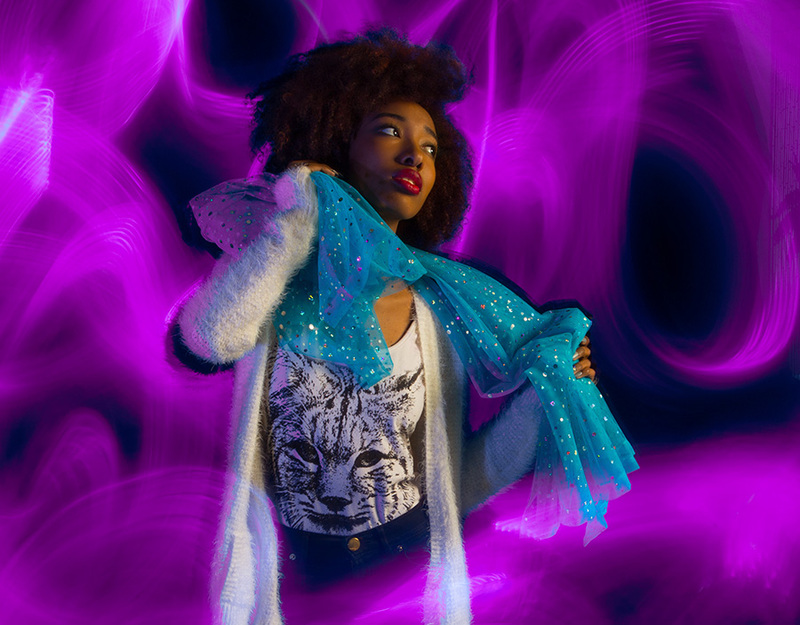 The most fun photography class you'll ever take! Traditional Light Painting + Demonstrating the Awesome "PixelStick"
We've added an hour to this class and have added a fun demonstration of the use of the amazing "Pixelstick" device for light painting! Small Class Size - Limited to just 6 students! Bring your camera + tripod! Student Comment: "This was a fantastic class! I had so much fun! It really opened my eyes to so many new ways of using my camera. Thank you for introducing me to these wonderful techniques!!" 5 1/2 Hours of Fun and Learning! 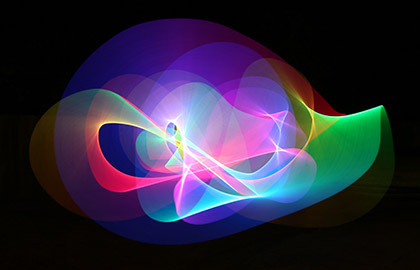 What is "Painting" with Light? When we think of "photography", we often think about creating a two-dimensional image of a 3 dimensional subject. In a brief moment, at the press of a button and click of the shutter, we capture a photograph! But there is another dimension that opens up a whole new way of thinking about photography. That dimension is TIME. 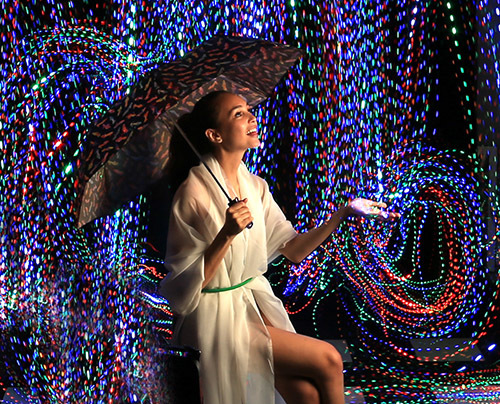 We'll slow down the shutter speed in this fun hands-on class and explore this dimension of time, and the many ways we can "paint with light" using a camera and various sources of light. 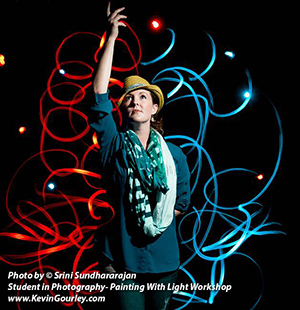 "Kevin's "Painting with light" class was a blast. I have taken various classes from Kevin so far and this one was my favorite. It's one of those classes that promotes creativity, provides hands on experience for each student, and the class is so fun that it ends before you want it to. Not only was it fun to watch the model being painted, but equally as much fun to see what each student ended up with. Kevin is passionate about taking photos as well as teaching photography to others. He's kind, compassionate, respectable, and displays an abundance of patience with his students. I highly recommend this class to anyone wanting to take fun and creative photos in a friendly, safe environment." Light is the essential element in creating a photograph. Through the techniques explored in this class, we open the door to all sorts of fun ways you can enhance your photography and creativity. Change Your Understanding of "Photography"
It's entirely possible that you may change your understanding of "photography" as a result of this class. The mind shift from thinking about taking a photograph of a scene/subject to painting with light onto a digital sensor or film can give you a better understanding of the photographic process and can be a great asset to your photographic skills! Good understanding of the basics of photography including setting exposure, the relationship between shutter speed and aperture. My Photography 101 Workshop is a good preparation for taking this class. 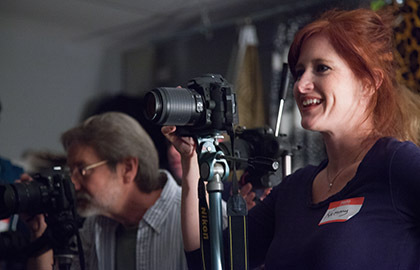 This class is best suited to photographers who own a digital SLR (DSLR) or a camera that allows you to fully control in "manual" mode, or at least to shoot with a very slow shutter speed. If your camera can do time exposures, that's perfect! We assume you understand the basics of photography in this class including shooting in "manual mode". 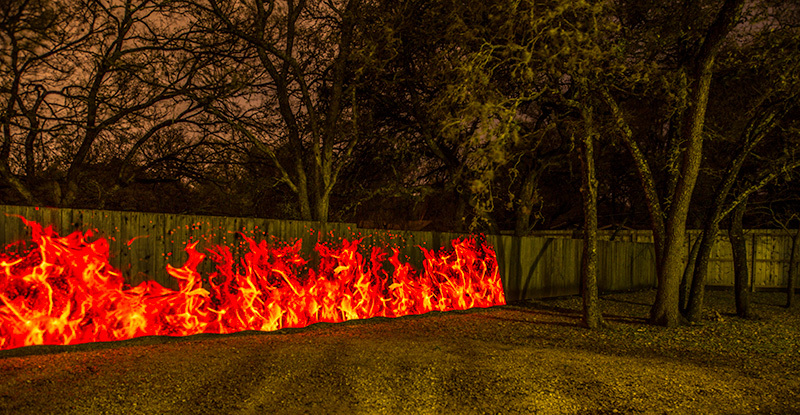 This workshop is hosted at my photography studio in NW Austin. Class size limited to only a few students. We meet for 3 hours on the first evening, and then 2 and a half hours for the 2nd evening. 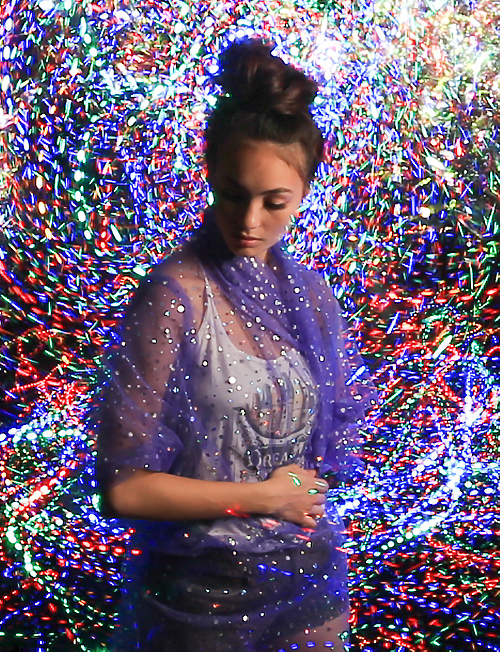 We will be working with a model, as we do amazing and fun things with light! You will be photographing with your own camera. Cancellations made more than 21 days prior to the class start date, will receive a refund of the workshop fee minus a $20 cancellation fee. Cancellations made 7 to 20 days prior to the class start date, will receive a refund of the workshop fee minus a $40 cancellation fee. Sorry, no refunds will be made for cancellations made less than 7 days prior to the class start date. Your registration for this class indicates your agreement with these terms and conditions. "I have taken several classes with Kevin, and while they have all been so helpful, this was the most fun of all! It was very organized and informative, and best of all, it was so easy to learn painting with light! I highly recommend this class. You will learn new and creative ways to photograph that you never dreamed you could do." 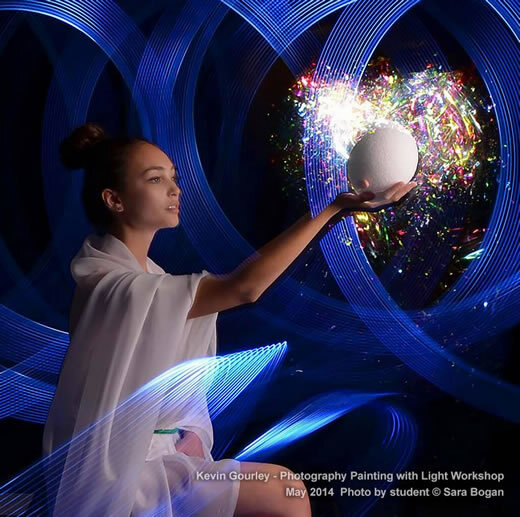 "The Painting with Light class was so much fun! Kevin had lots of ideas to start with but he entertained students ideas also which made for some great photos." "As paint is to painting so light is to photography, but there are oh, so many ways to apply either and the results are always different, from type of light to the individual photographer who applies it to their camera. This class if just one more way that Kevin teaches his students how to step out of the standard photographic parameters and create something visually exciting. It is fun, creative and rewarding. Try it. You'll light it!" 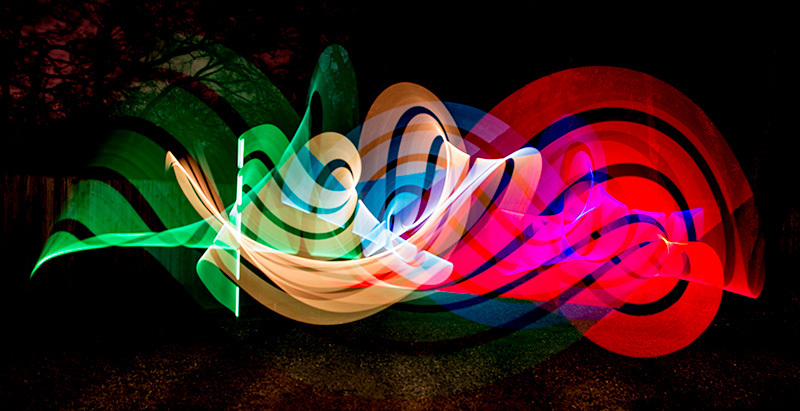 This is a light painting image done with a device called a "Pixel Stick"!